Kosha Dillz’ Awkward in a Good Way LP makes #19 on top 50 CMJ hip Hop albums of 2014 list! 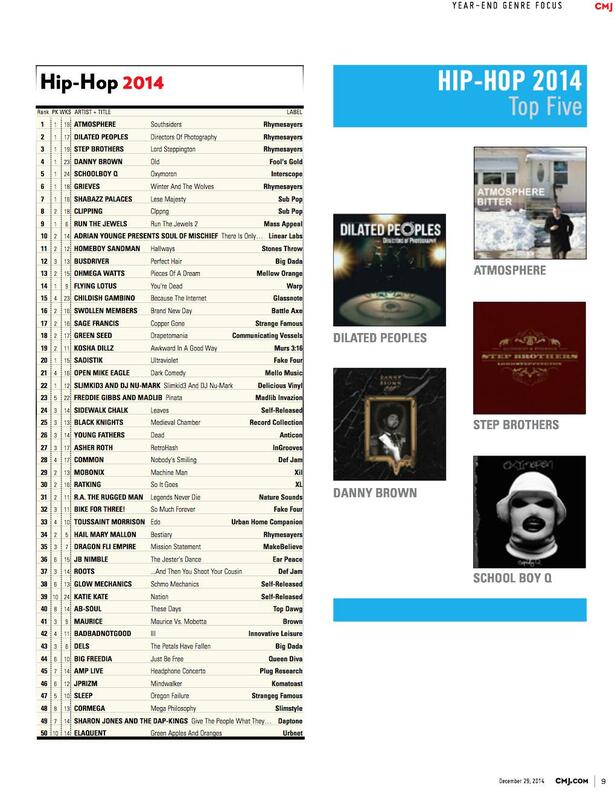 OMG – We made it to #19 on top 50 hip hop album list on CMJ. This is a big deal guys. LIke look at all the people we are better than and all the people who beat us. We are in good company!! I would like to thank Murs, Label 316, Gangsta Boo and Co-Sign and Diamond Media 360 for all the pushes and everyone who has been pushing for this album, sharing it, telling people about it, illegally downloading it, coming to shows and more. See you all this summer on Warped Tour! I will be playing tracks of it for sure.